Sometimes its the small things in life that can make us happy. Something simple like new bathroom towels. Now, these aren’t just any bathroom towels. These are the bathroom towels that make you wonder why it took so long to discover them. 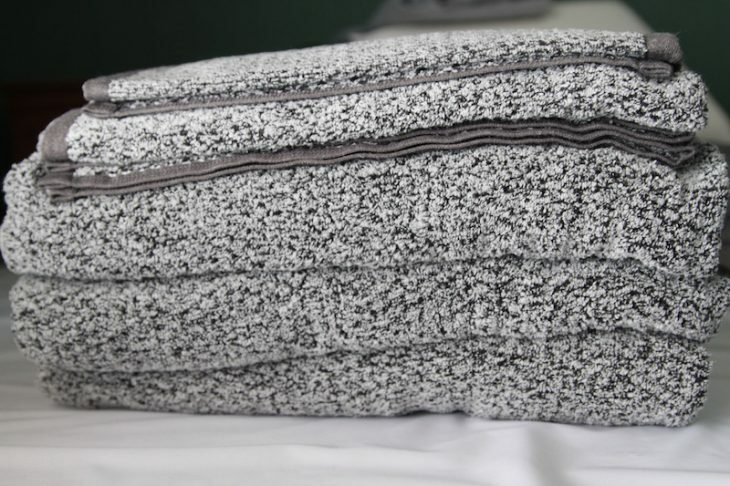 Bathroom towels so soft and plush you’ll wonder if the company might make bathrobes as well because you could see staying wrapped up in all that plushness. Of course, I’m talking about Everplush towels. What is Everplush Towels Technology? Everplush® technology is the latest in textile innovations. Patented in Asia, Europe, and the United States, this textile technology brings together the unique performance advantages of a micro-absorbent core with the soft, luxurious quality of zero-twist cotton. The high-performance Everplush® core gives our bath towels 7x higher water absorbency than ordinary cotton towels. And because of the shape-retaining properties of microfibers, Everplush® bath towels stay soft and fluffy even after dozens of washes! 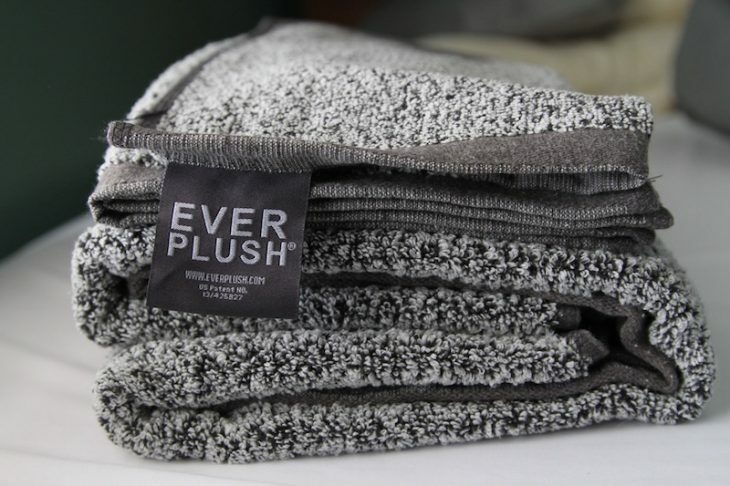 Our Everplush® bath towels dry in less than 30 minutes, which means that you save on energy. Replace your old, stiff towels with the patented fluffiness of Everplush®, and showering will never be the same again! 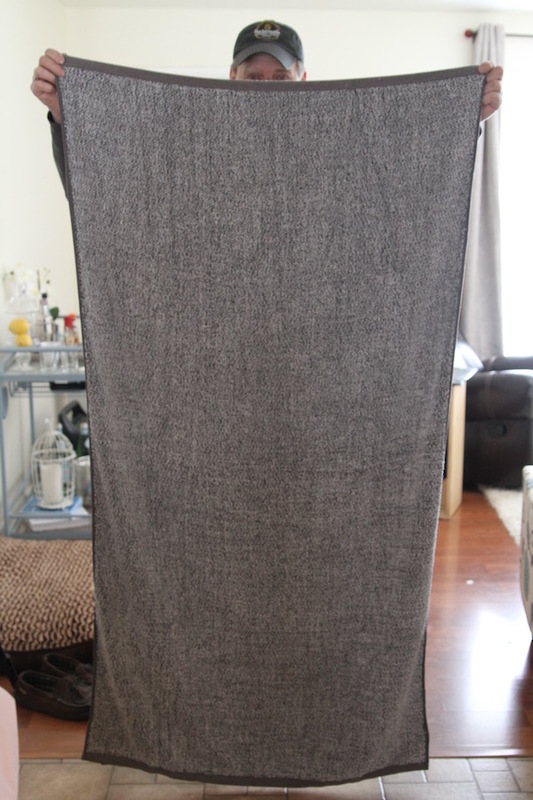 We added a set of Diamond Jacquard Collection towels in grey to our linen closet. 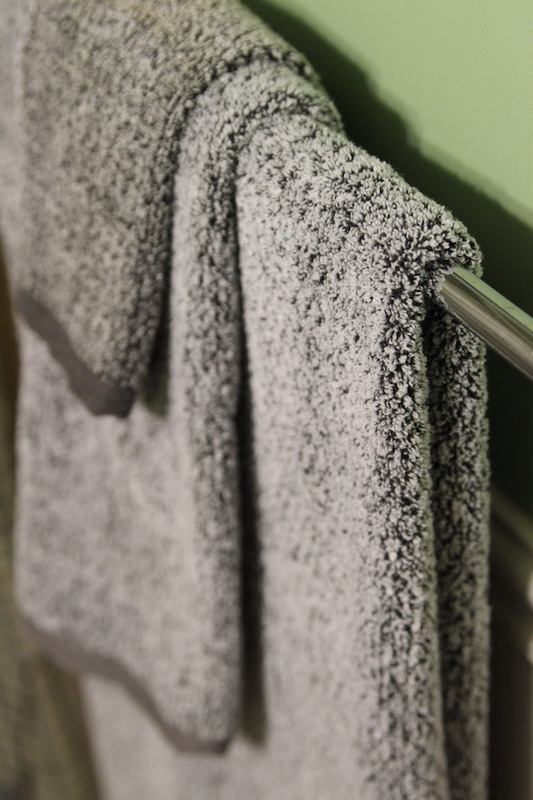 I don’t think we’ve ever had towels this luxurious….ever! Not only are they soft, plush, and luxurious they also absorb water just like I expect. Sometimes those super plush towels are awful at absorbing water which is so disappointing. These towels are the exact opposite of disappointment. We have been thrilled with them. Sometimes when a company touts that they have bath towels what they really mean is they have a towel that will wrap around a two-year old. Not so with Everplush. They mean serious business with their bath towels. I had Alan hold one up, he is 6’2″, to give you an idea of how big they are. Ok. You are convincing me I need to get these. I have been eye ballling towels anyway.